1-1/2 in x 10 yards. The choice of professionals. 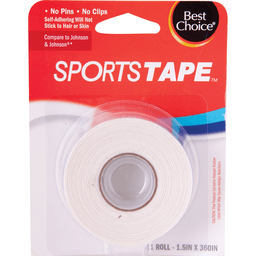 Helps prevent sprains, helps protect injured areas. 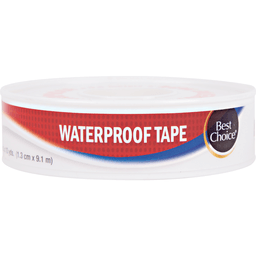 This product contains dry natural rubber. 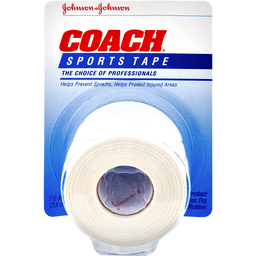 Coach sports tape is a high quality, breathable cloth tape that is used by professional athletic trainers to protect joints from injury/sprains and provide support to help speed recovery after injury. Made in Brazil. 1 sterile roll. 2 in x 2.5 yds (5 cm x 2.2 m). Secures to itself to stay in place. Stretches to provide freedom of movement for hard to bandage areas. No. 1 doctor recommended brand. 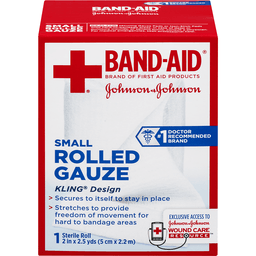 Band-Aid brand of first aid products. 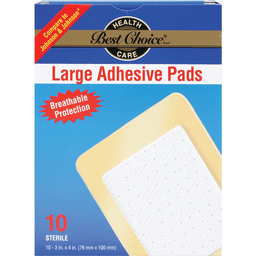 Ideal for securing gauze pads or non-stick pads onto hard-to-bandage areas. In case of deep or puncture wounds, or serious burns, consult a physician. For medical emergencies, seek professional help. Designed for better protection. It stretches and secures to itself, providing freedom of movement while remaining securely wrapped. 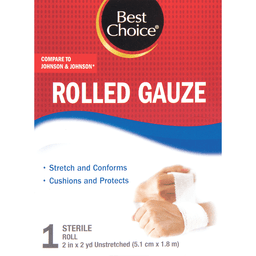 With pillow-soft padding and instant absorption, small rolled gauze can also be used as a primary dressing. 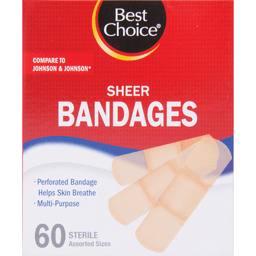 The Johnson & Johnson Wound Care Resource App: Exclusive access to Johnson & Johnson Wound Care Resource. 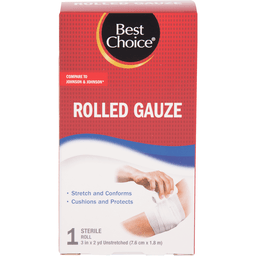 The app provides a series of tools to make wound care easier. 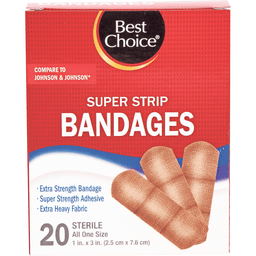 Includes: tips for getting started; six signs of wound infection; a wound diary. Three simple ways to download: 1. Scan QR code. 2. Text Care to 80404 (msg and data rates may apply). 3. Download from iTunes. For more information, call: 800-526-3967 8AM to 8PM EST. Do not flush. Care to recycle. A covered wound heals faster than an uncovered one. 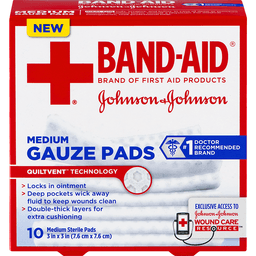 For additional absorbency use with gauze pads. 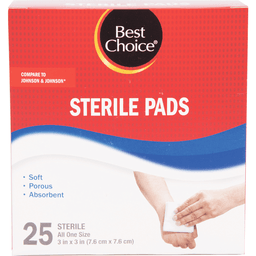 Sterile unless individual wrapper is opened or damaged. Questions? 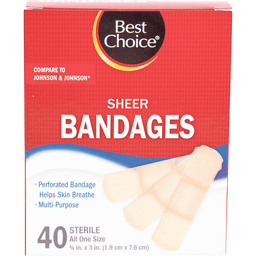 800-526-3967; www.jnjfirstaid.com. Not made with natural rubber latex. Made in China.